The current real estate system is broken but now is time to fix it and THIS book is the answer. While dozens of books and websites offer repetitive generalizations on how to market a home, the sales process, and how to price a home - NO other book informs home sellers on how to become empowered to take charge in the sale of their home. Without a doubt, this book should be on every home sellers bookshelf, as it will help prevent homeowners from becoming a party to a lawsuit - a lawsuit that could have been ENTIRELY avoided if the homeowner had read this book. In addition to discussing the legal issues that need to be addressed, the author also highlights all the ways in which real estate professionals line their own pocket books, at the cost of the sellersâ€™. Donâ€™t be fooled by another slick tongued sales man. Sit down with this book as an experienced real estate professional (attorney and agent) outlines the exact issues homeowners need to know about in clear, simple language. Arm yourself. Inform yourself. Protect yourself. 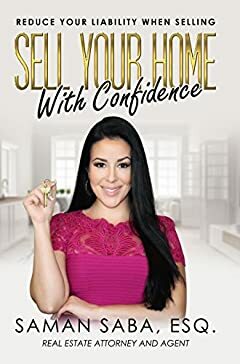 Don't hesitate - get your copy now so that you, too, can Sell Your Home With Confidence!